Apple's Siri now enables voice dictation on the brand-new next-generation iPad. 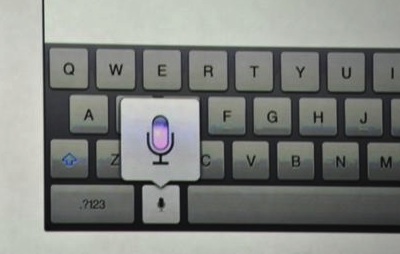 Just press the special voice dictation key (shown below), and Siri does the rest. The resulting text is shown in whatever font you like.